Some animals reproduce pretty routinely in aquariums. But it's extremely rare for a nautilus. So imagine the surprise of our staff and volunteers when they spotted not one, not two, but three bouncing baby nautiluses while cleaning the Deep Pacific Coral exhibit. The nautilus belongs to the cephalopod family (along with the squid and the octopus), and it's sometimes called a living fossil because it has evolved relatively little over millions of years. It lives in water that's nearly 1,000 feet deep, so its exhibit is kept very dark, making it even tougher to spot the babies, which are only about 2.5 or 3 cm (about 1 inch) long. The photo at the top shows what an adult nautilus looks like, and the photo below shows one of the babies alongside an aquarist's hand. 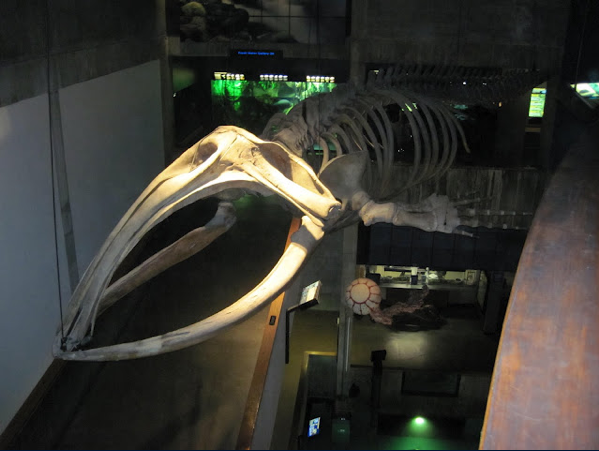 Read this blog post to learn more about the nautilus and to see a video of the unusual way the nautilus moves. There’s always a surprise at the New England Aquarium, as one young lady discovered at the West Coast Tidepool exhibit in the Northern Waters of the World Gallery. Take a look, it's worth the wait! Tidepools are found at the water’s edge along rocky coastlines. Organisms have developed unique biological adaptations to survive powerful forces such as pounding waves and extreme temperature changes. They must be able to hold tightly to rocks and survive for periods out of water. In this exhibit, a simulated wave breaks regularly, aerating the water and delighting surprised visitors. Sea anemones are most prominent in this tank. 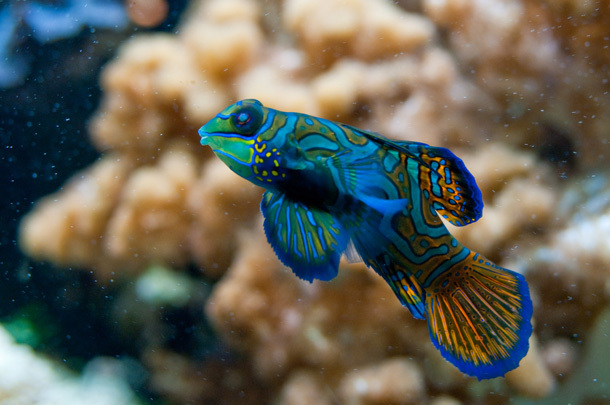 You may also find kelp, sea urchins and a few hardy fish. The abundant food supply in tidepools and adjacent kelp forests also attracts sea otters and seals. The bat star’s name comes from the joined area between its arms, like the webbing between the bones of a bat’s wing. 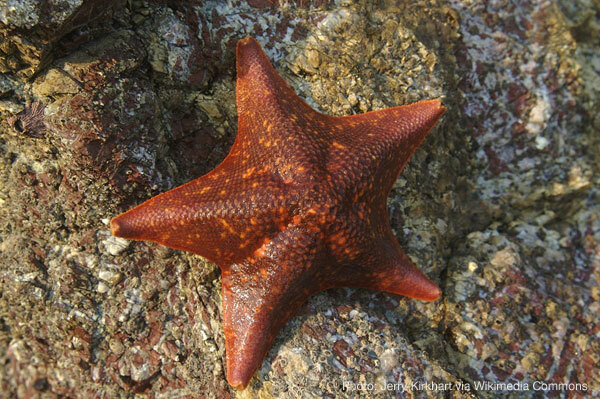 This adaptation may help the bat star withstand the force of crashing waves. Now take a moment to compare this tidepool from the West Coast to some you find around here, where you would find rockweed instead of large kelps, more mussels and crabs, smaller fish and fewer anemones and urchins. What might you find here at the Edge of the Sea tidepool touchtank here at the Aquarium? Come by sometime and have fun exploring tidepools from near and far, right here in downtown Boston! 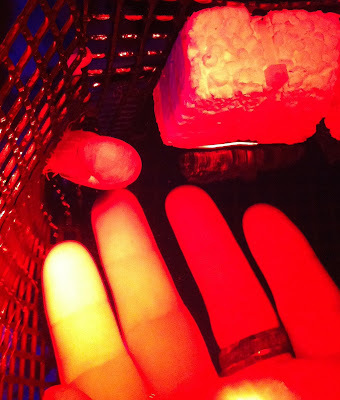 This is Part II of a series of posts about eggs laid in The Trust Family Foundation Shark and Ray Touch tank. See pictures and learn more about shark egg cases in this previous post. Visitors to our shark and ray touch tank may not know that we find shark egg cases like this every single day. We collected one of those eggs a while back, and it hatched right on time! This species takes about five months. 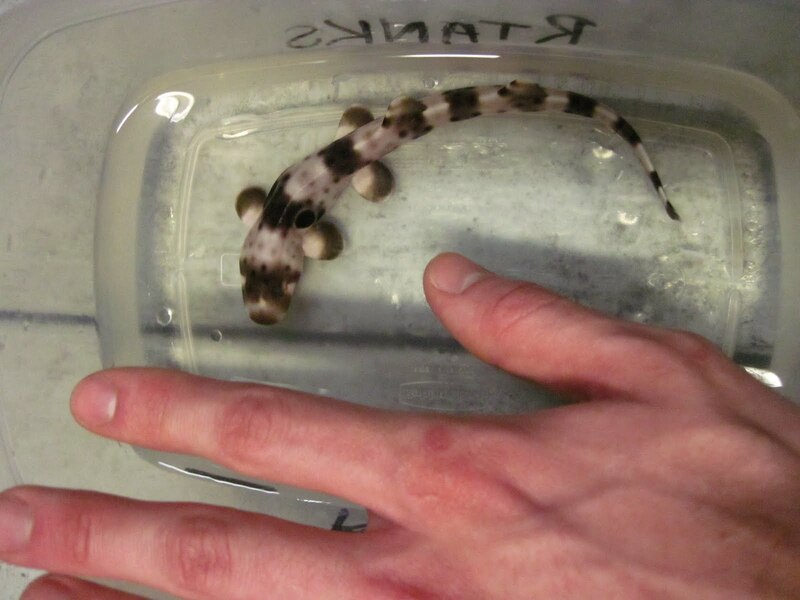 Out came a beautiful, healthy female epaulette shark, small enough to fit in the palm of your hand, literally! She is as delicate as she looks. A really neat thing about many baby animals is that they are born with stripes that eventually fade or disappear. The stripes make it harder for predators to understand that the baby is actually one cohesive (and potentially tasty) animal and not just a series of disconnected colors, which also offers a very interesting glimpse into the ways that animals' minds work. Baby alligators make use of this technique, too. 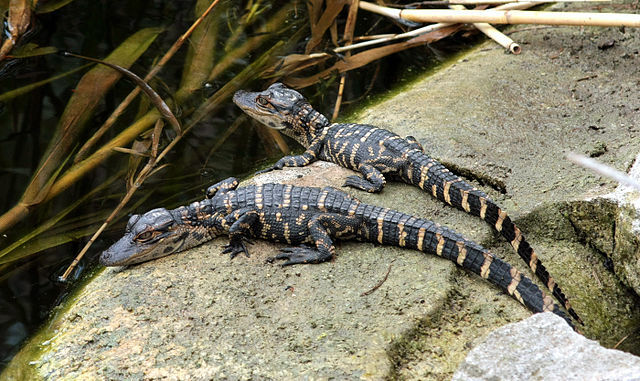 Baby alligators. Photo by Ianare via Wikimedia Commons. 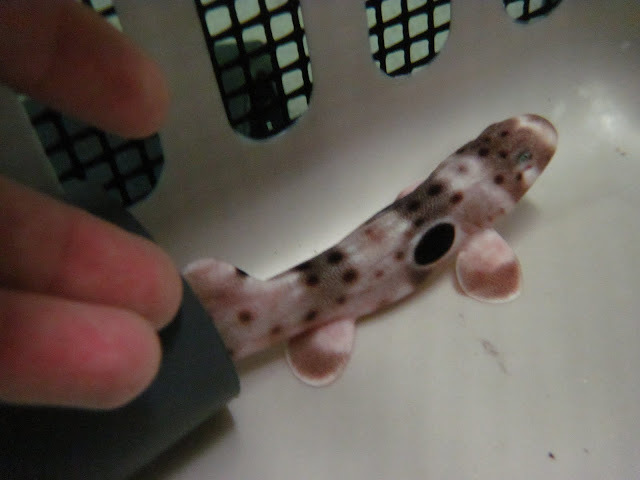 Older epaulette sharks (and alligators) have only faint traces of these stripes, since they have significantly fewer predators as fully grown adults. 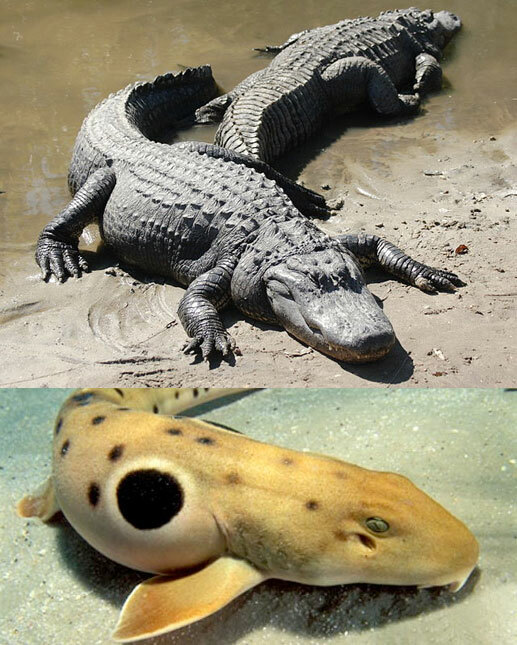 Top to bottom, Adult alligators and adult epaulette shark. For now, though, the timid newborn shark at the Aquarium feels most comfortable hiding inside of a piece of tubing in her nursery space. 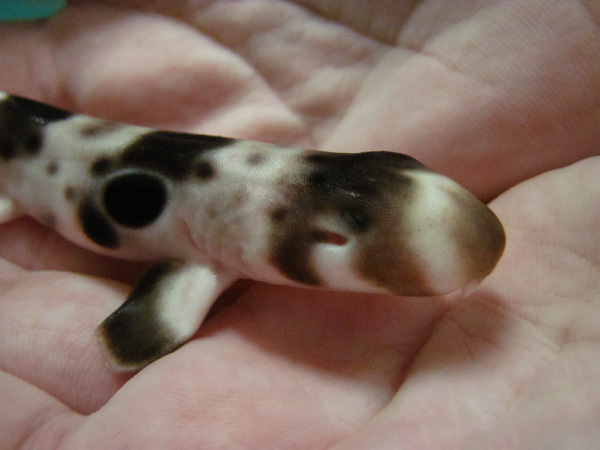 She won't be big enough to go on exhibit for a good while, but feel free to come by and visit her parents at the Shark and Ray Touch Tank anytime. And keep an eye out for other eggs around the exhibit, we find them every single day! 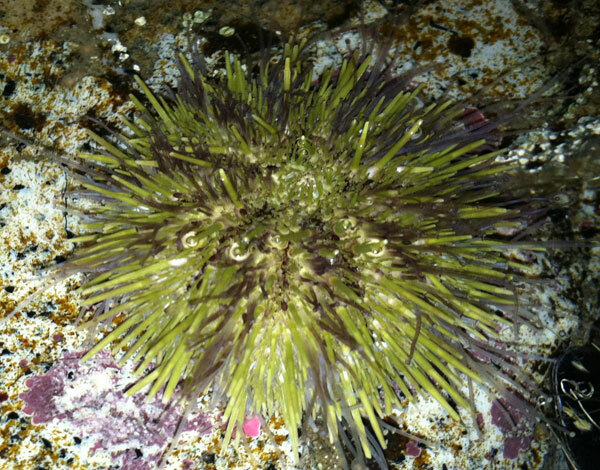 The green sea urchin (Strongylocentrotus droebachiensis) comes from the class of animals called Echinoidea, which means "like a hedgehog." Can you guess why? Sea urchins are related to sea stars, sand dollars and sea cucumbers. 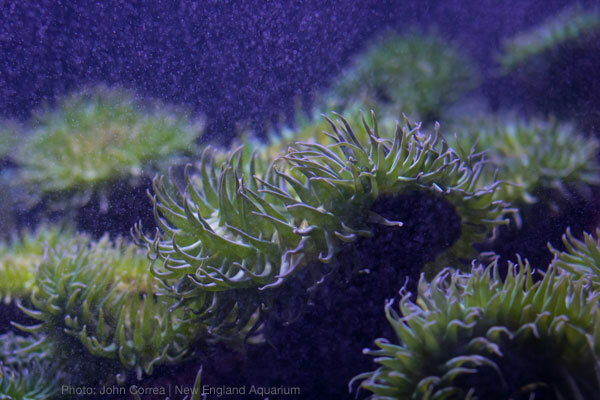 You can find urchin species in oceans around the world (and in the Edge of the Sea Touch Tank here at the Aquarium!). The green sea urchin prefers shallow, rocky areas. 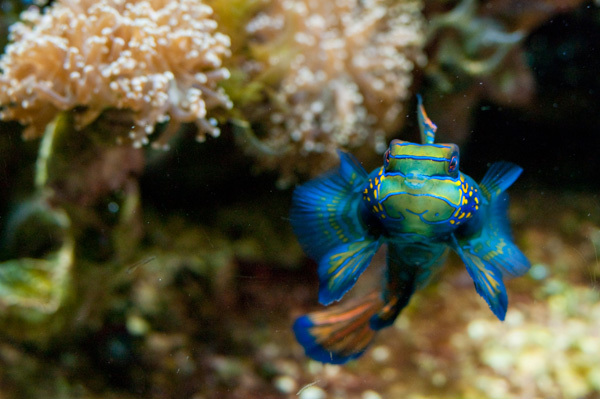 They snack on algae and dead matter by scraping with five pointed teeth. 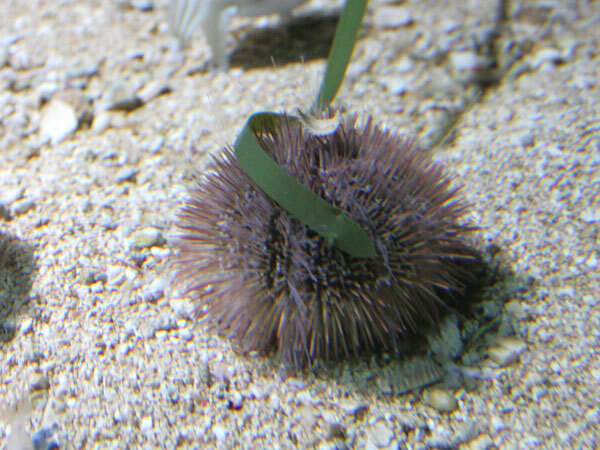 Urchins can destroy kelp beds and are sometimes seen as pests! 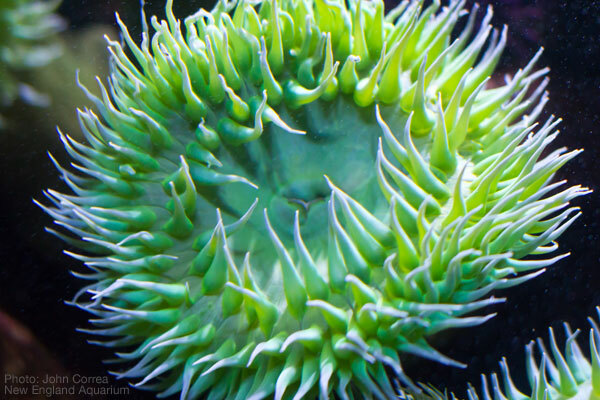 An urchin's mouth structure is also called an Aristotle's Lantern. It contains the five teeth and also has 40 different skeletal parts and 60 muscles. 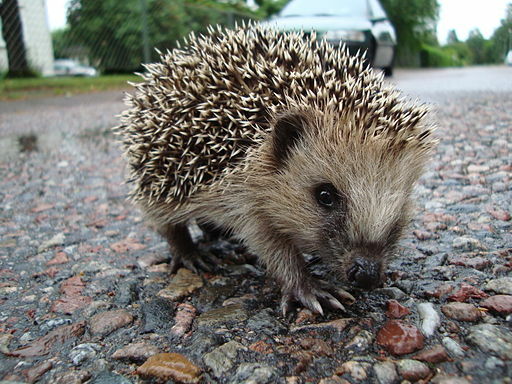 Urchins can move at a rate of six to seven feet per hour. 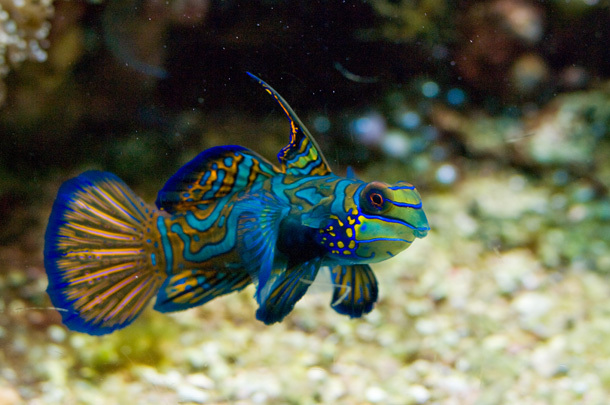 They use their spines and tube feet, also called podia, to get around. Each spine is attached with ball and socket joint. Look closely and you can see the podia in this picture. Podia are long and slender with terminal suckers at the end. Tube feet operate hydraulically by means of a water vascular system. Urchins often cover themselves with pebbles, shells, and bits of seaweed for camouflage. Sea urchins have a long list of predators, and people are tops on that list. 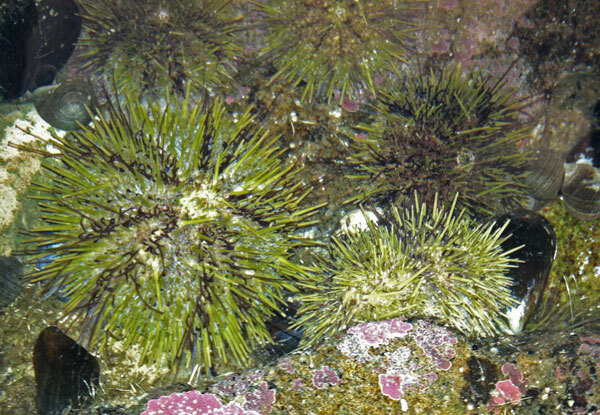 Marine birds, arctic foxes, sea otters and starfish also eat urchins. Wolffish swallow urchins whole. Triggerfish blow them over with a jet of water. Gulls pick the urchins from a tide pool, fly overhead, and drop the animals onto the rocks. The shell breaks open on impact and the gull flies down for its meal. Conservation Notes: Sea urchin roe (actually both the male and female gonads), called uni in Japan, is considered a delicacy. During the "Green Gold Rush" of the 1980's and 1990's, millions of pounds of urchins were harvested for their roe. Overharvesting amid a lack of regulation caused the urchin population to crash. 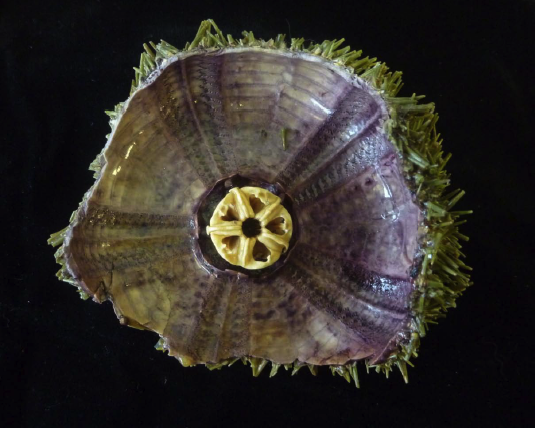 Regulations now prevent overharvesting of urchins, but populations have been slow to recover. On your next visit to the Aquarium, look for a sea urchin at the Edge of the Sea touch tidepool. 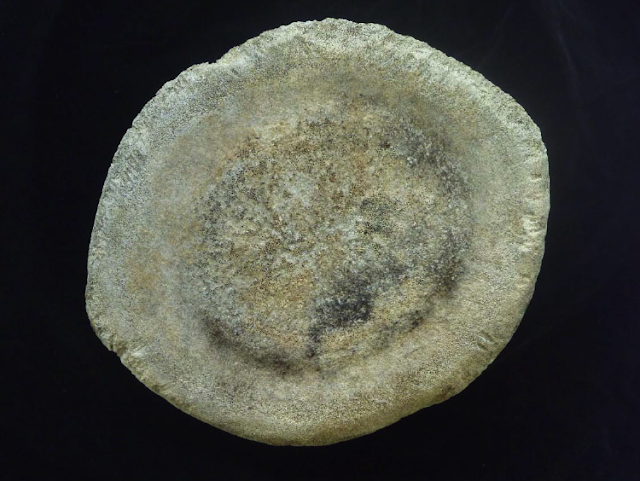 You can also see urchins in the cuttlefish exhibit and the Northern Waters gallery.